Earlier this week I was able to watch a screening on Earth Day of ‘Bidder 70’ a new documentary which examines the story of Tim DeChristopher. He was sentenced to two years in prison, and a $10,000 fine. His crime? He attended an oil and gas lease auction and bid on Utah land which was being leased for oil and gas exploration with no intent to buy the land (he didn’t have the money) or to drill on it. I’m not as interested in going through a review of the documentary itself. I thought overall its well worth taking a look at, but my biggest frustration with the story was it left out a lot of the details of the auction process, how he was able to bid and refuse to pay, and how his act of civil disobedience ended up being successful. From what I gathered the Bush administration in their last weeks in office put opened up lots of land for oil and gas leases, and that DeChristopher successfully ruined these auctions. And then when the Obama administration took office the Department of the Interior later decided not to auction these parcels of land after all. The film does a great job of presenting DeChristopher’s story, and conveying his indignation at the ruination of what appears to be some pristine Utah wilderness. But watching the documentary I was most struck by the connections between a couple of events that I’ve traced here before: the Bronze zodiac auctions in France from the Yves Saint-Laurent sale, and the sentencing of antiquities looters in Utah. Environmental and cultural heritage issues are inextricably linked, and the different priorities of prosecution and sentencing on display here were really striking. If you aren’t familiar with the sad saga of the Chinese Zodiac heads, here’s a quick overview. Over 150 years ago the Summer Palace near Beijing was looted by British troops. Lots of art was burned, looted, destroyed, or lost. Some objects which had been taken were parts of a beautiful ornate fountain/clock mechanism which had the 12 Chinese zodiac animals. 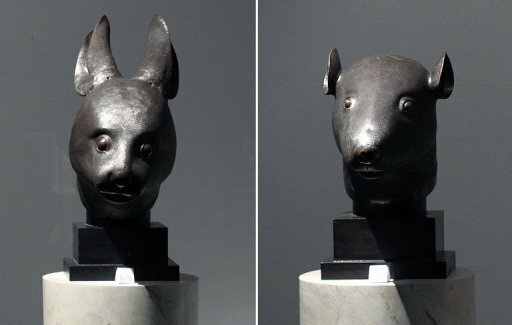 A handful of these still existing heads have been purchased by Chinese repatriation advocates on the open market. 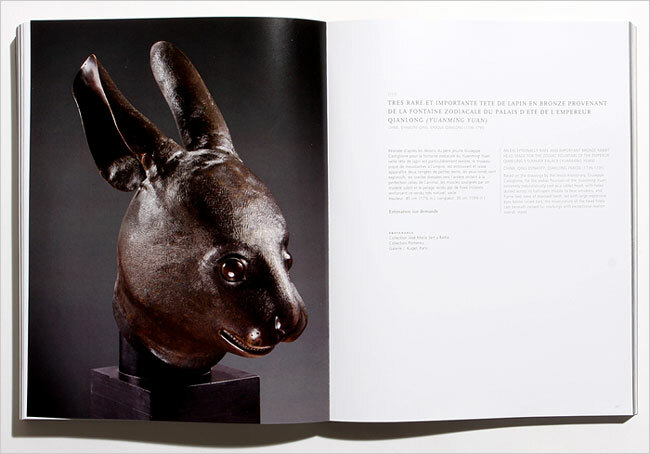 And two of these bronze figurines, the rabbit and the rat were acquired by Yves Saint Laurent. Well on his death many objects from his estate were set to go up for auction at Christie’s in Paris. But the looting of the Chinese Summer Palace is a notorious event in Chinese history, and the Chinese government lodged a number of protests at the sale. When the two heads were up for auction, the successful bid was nearly 32 million Euro. The winning bidder was Cao Mingchao, owner of a small auction house in China. After the auction he refused to pay the bid, exacting the same kind of civil disobedience that DeChristopher went to prison for. After the auction Mingchao stated “What I want to stress is that this money cannot be paid (…) I think any Chinese person would have stood up at that moment. It was just that the opportunity came to me. I was merely fulfilling my responsibilities.” Despite some hints at a French prosecution of the bidder, those never materialized and the heads as I understand it were never actually auctioned. There have been a number of controversial sales of Precolumbian and native american sacred items in France in recent months. And it seems that despite some legal attempts to block sales, this kind of technically legal, but morally objectionable auction; which the current heritage law framework deems ok; will only be blocked if an auction house bends to public pressure or if there’s a bidder exercising civil disobedience. Remember that in this part of the country the Four-Corners investigation uncovered a large network of illicit native american objects. That investigation led to 3 suicides and a number of citizens being indicted and later pleading guilty to heritage crimes. But no custodial sentences have been imposed. The sad takeaway is I think that you can loot native american sites, and the Federal government will have irregular investigations, but mess with the leasing of oil and gas, and you’ll feel the weight of the federal government. Bidder 70 – Trailer from Gage & Gage Productions on Vimeo. China looks to be redoubling its efforts to repatriate the bronzes from the Summer Palace, enlisting Jackie Chan, erecting a statue of Victor Hugo who decried the looting in 1860, and circulating a petition. China has renewed a call for the return of relics looted from the Old Summer Palace in Beijing 150 years ago — an act seen as a cause of national humiliation at the hands of Western armies. The Yuanmingyuan, a summer resort garden for the emperors of the Qing Dynasty (1644-1911), was pillaged by a joint British and French military expedition during the second Opium War on October 18-19, 1860. Cultural officials have urged private collectors in China to forgo profits from the antiquities trade and return the looted relics, the China Daily reported Tuesday. The Yuanmingyuan park authority has also called on museums to return such items, and for a boycott on auctions featuring relics, the Global Times added. . . .
“At least 1.5 million relics from the Yuanmingyuan have either been looted or otherwise lost over the years,” the China Daily quoted Chen Mingjie, head of the Yuanmingyuan park administration, as saying. Xinhua news agency, citing the UN cultural body UNESCO, said some 1.64 million Chinese relics are housed in more than 200 museums in 47 countries, some of which are believed to have been looted from the Yuanmingyuan. In recent years, cultural relic experts from China have sought to categorise and bring back looted Chinese antiquities, but their efforts have been waylaid by legal and historical obstacles, the China Daily said. Liu Yang, a Beijing lawyer who is helping to organize the lawsuit threatened in France, said he had located a descendant of China’s royal family to serve as plaintiff in the case. Mr. Liu also asserted that the sale would violate a 1995 United Nations convention governing the repatriation of stolen or illegally exported cultural relics. But Patty Gerstenblith, a professor of law at DePaul University in Chicago who specializes in cultural-property issues, said that France never ratified the convention and that even if it had, the agreement does not apply retroactively to objects looted decades or centuries ago. Professor Gerstenblith suggested that one solution might be for the Yves Saint Laurent and Pierre Bergé Foundation to negotiate with China and offer it at a reasonable price. “It would probably be in the best interest of everybody if they made a deal privately with China,” she said. Previous posts on this dispute here and here. Author Derek FinchamPosted on October 27, 2008 Categories RepatriationTags Art Theft, Auction, China, Summer Palace BronzesLeave a comment on Call for Return of Chinese "Cultural Relics"